Raising funds from your own business is a typical way for a company to obtain financing. In many cases the money will be there within a company in forms such as debtor’s payments. Businesses can also use their own assets to obtain secured loans but there will be certain stipulations to raising funds in this way. There are a number of funding options open to those that run or are considering opening a new company. Secured loans from banks and building societies are one of the main options to be considered. However, secured loans are not an option for many start-ups unless they can provide security or invest some of their own cash into the business. Government assistance through grants and loans is another option but again there will be certain stipulation involved. Working capital will usually be needed for any start-up and finding this will be a consideration. Raising funds from the assets you already hold is something to consider. Lenders will look carefully at the assets you hold, and these can take the form of business or personal property such as your own home. Assets can be the equipment, machinery, computers and premises that you own. These assets can then be used as security to gain loans. Lenders will look at how easily these assets can be sold should any problems occur with repayments. 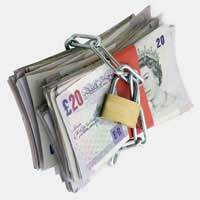 The security mentioned in secured loans is for the lenders peace of mind not for the borrower. If you already run your own company then quicker payments from customers and clients may be a way to raise extra cash. Debt factoring is a way of obtaining an instant advance against the money that is owed to you from clients and customers. This service is provided through banks and other lending institutions and the major benefit is improved cash flow. It is also a time saving service as it means that you do not have to waste time chasing unpaid invoices. Debt factoring will usually give you an advance of around 80% of the amount of your invoices but there will be a fee for this service. Micro financing may be available to businesses in disadvantaged areas that are looking for financing on a smaller scale. Loans from between £50 to one million can be obtained from Community Development Finance Institutions. The CDFA will provide these loans to businesses in areas that do not have many lenders. This type of funding option is worth looking into if you are looking at obtaining some start-up capital and do fit the eligibility requirements. If you are already running your own company and want to expand or simply have a great business idea then you can seek funding through external investors. Business angels and venture capitalists may be one way to gain both capital and expert advice. Don’t dismiss this idea simply because you think your company is too small for external investors to be interested in. There are many small British companies that have become extremely successful through the help of external investors. It won’t cost your company any money to check out this option and you may be surprised at the interest from external investors. Equity partners are another option to consider when raising finances. In effect you bring in a partner who invests in your company in return for shares and dividends. Equity partners can actually be anyone who wishes to place some capital into your company and can even take the form of family and friends. The terms and conditions should be set out from the start and a legal contract should be drawn up. How much control you give your equity partner will be a major consideration and should be discussed fully. In a number of cases the investors can simply be sleeping partners who will not require a say in the running of the company. Raising funds is a major issue for many small businesses but researching all of your financing options will be beneficial. By checking different financing options you should be able to find the one that will best suit your borrowing needs. If you already own some assets then you have a head start when it comes to borrowing. Never jump into the first credit offer and always look around for the lowest interest rates that are available.